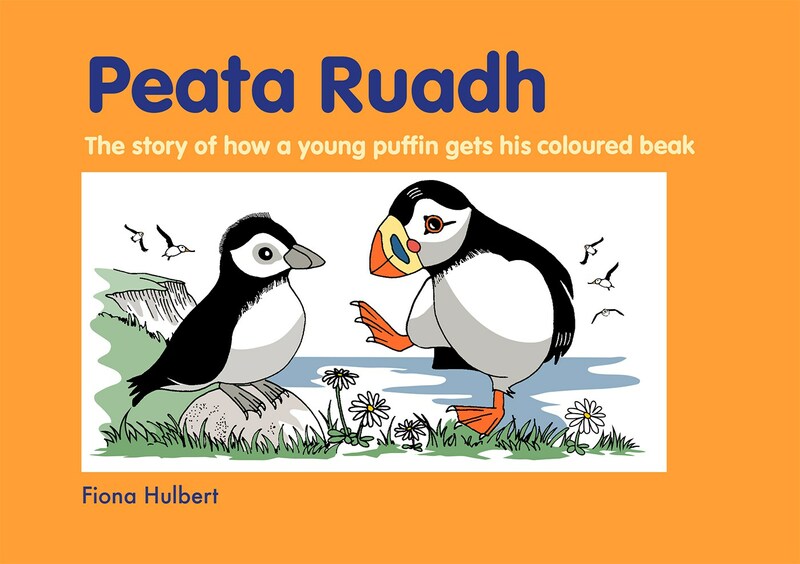 Peata Ruadh is fed up waiting for his very first colourful beak. Peata decides to explore some very imaginative solutions to his impatience. But he soon realises that nature will not be rushed. Creative ideas lead the reader to a natural process. Peata Ruadh realises that he is very hungry and needs to learn to feed himself. 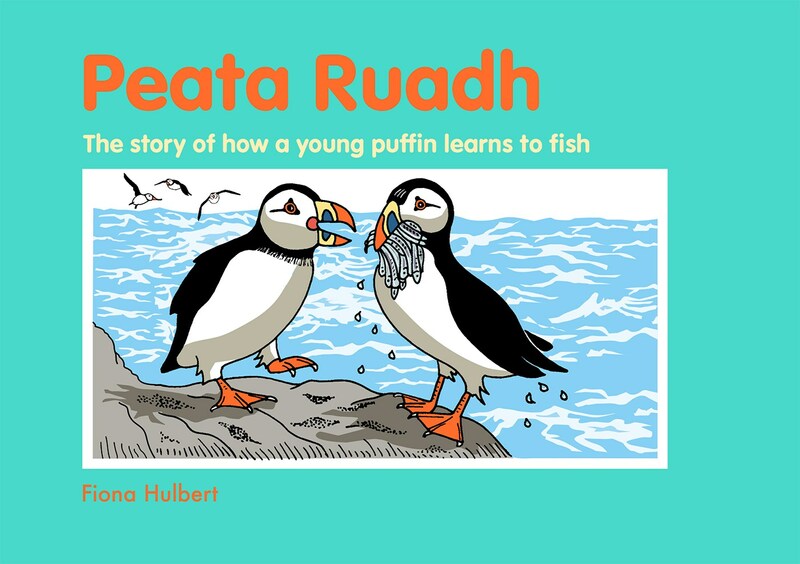 Peata Ruadh does not have a fishing plan and doesn’t really know how to start fishing. Peata Ruadh enthusiastically tries anything to catch fish. Skerries Publications is a small publishing house specialising in texts about ecology, people and place. Skerries Publications promote texts which are rich in language, accurately teach ecology and capture traditional oral stories. Publications aim to support literacy development. Fiona Hulbert was born in Edinburgh. She spent most of her formative years in the Highlands, where her love and connection to the land became deep rooted. She is qualified in Bachelor of Education in Primary Education and is a qualified English as a Second Language Teacher. She spent 22 years teaching 5-11 year olds both in Scotland and Norway. Her main interest being language and literacy. She has two children. Her husband is an ecologist and obviously shares her love of the environment. She now lives in Highland Perthshire and keeps bees and hens. She manages a productive kitchen garden and is raising an orchard of traditional Scottish apples. She is still passionate about literacy development. The trading name of Handsal Ltd.
For offers and the latest Skerries Gems. By giving us your email you agree that we may send you a weekly email.